Do you want to send free international text messages from your computer? 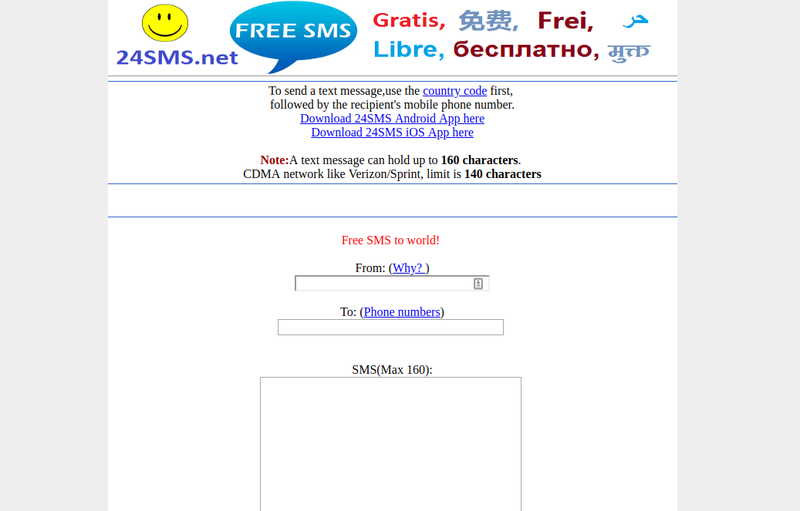 Check this list of the best sites to send free international SMS. Although the tendency to send text messages has shown a decline in recent years, mainly motivated by the rise of the instant messaging apps, SMS are still widely used, have their practical uses and remain a viable communication alternative and effective. Having the possibility of sending text messages through a portal can be very useful and convenient, that’s why we show you the best sites to send free international text messages from your computer or phone. 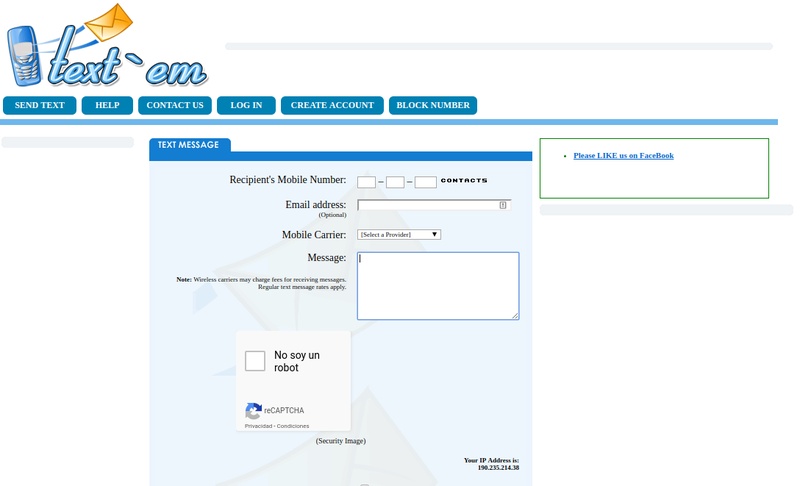 In this portal, you can send and receive text messages and MMS easily and quickly. The site allows you to receive replies from text messages to an email address or in an inbox; enables you to manage the contact numbers used regularly. To send messages, it is not necessary to register, unless you wish to have the above characteristics. There is no limit on sending messages, although they can only contain a maximum of 155 characters. The significant limitation of this website is that its local availability is restricted to US carriers. You can access TextEm by following this link. Unlike TextEm, this alternative is available for 34 countries around the world, including the US. And Canada. You can receive text message replies to an inbox and view a history of all text messages sent. There is no limit on sending messages, but they can’t exceed 130 characters; One of the most striking features of this service is the possibility of incorporating a “Text me” button on your website. To enjoy all the services it is necessary to complete a simple registration process. You can enter SendSMSNow following this link. 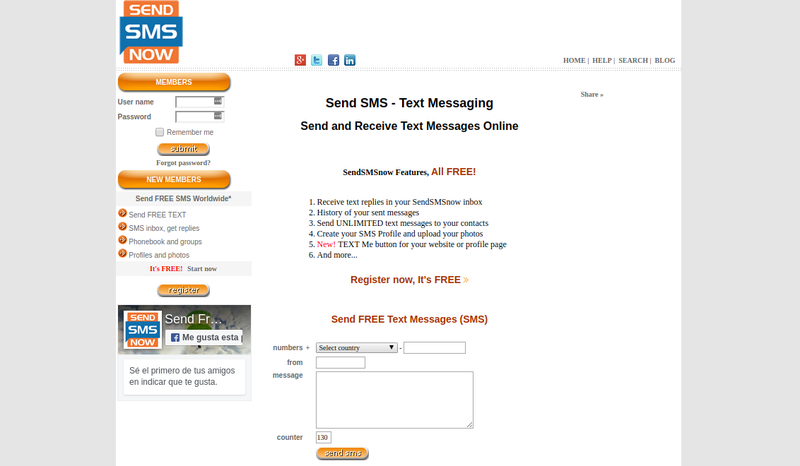 This site to send free international send messages doesn’t require any registration to use its services, although it only allows you to receive text message replies in your email address. In compensation, it adds a search tool of the service provider for the numbers of recipients, and its greatest virtue is that it can be used with almost any essential mobile provider in the world. It doesn’t impose any restriction on the number of messages that can be sent but limits them to 140 characters. You can enter Txt2Day following this link. It is a site to send free international text messages distinguished by having a simple interface to use and without clutter. The “From” field is optional to receive answers. It doesn’t require registration, nor does it restrict how many text messages you can send. For most recipients, it allows messages of up to 160 characters, but for CDMA networks, it is reduced to 140. It highlights regional availability that includes 163 countries worldwide. 24SMS is also available in Android and iOS mobile apps. You can access 24SMS by following this link. Among the differentiating elements of this website to send free international text messages, highlights that SMS are sent anonymously; Of course, this condition of anonymity prevents any response from being received. To use the service, registration is not required, and it covers the majority of the leading mobile operators at the international level. It doesn’t impose limits for the number of messages, and these can contain up to 300 characters. You can enter TxtEmNow following this link. So far those were the best sites to send free international text messages to any country from your computer. 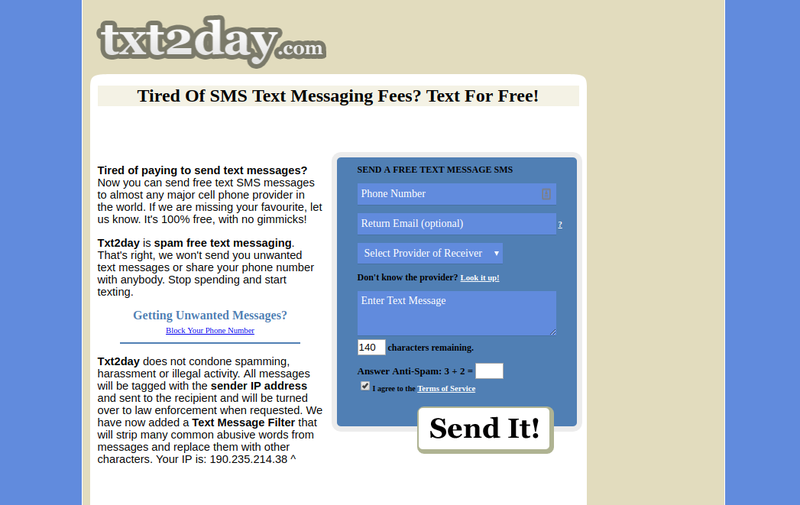 Do you know another site to send free text messages? Let me know in the comments section.